I had a surprisingly hard time picking out what movie to screen tonight. I lean towards bleak, usually low-budget, noirish movies. For instance, when Ive had the chance to introduce screenings before, Ive chosen Bressons The Devil Probably, Welless Lady from Shanghai once, and Touch of Evil another time, Robert Aldrichs great Kiss Me Deadly, Wong Kar Wais 2046 Like that. Also it would be logical to pick a movie thats not too commonly seen. But its Christmasor whichever festive winter holidayand I knew both that the Screen Slate crowd would already be familiar with anything I picked, and that everythings available online now anywaythere arent any obscure movies anymoreso I decided to take the opposite tack and pick one of the happiest, most widely seen and popular movies ever. Big budget too. 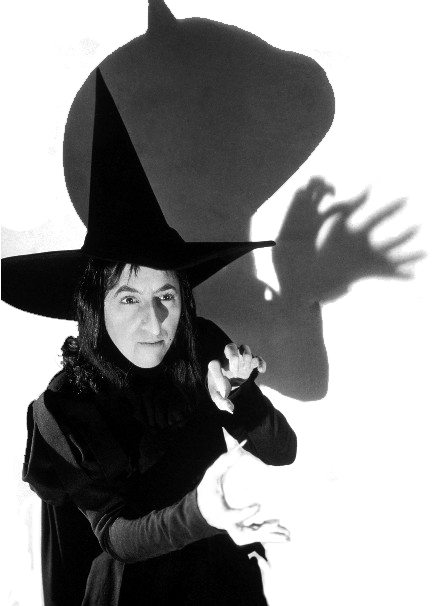 It doesnt show up in celluloid 35mm in theaters often, though, and it is a masterpiece and Ive always loved it. I had a surprisingly hard time picking out what movie to screen tonight. I lean towards bleak, usually low-budget, noirish movies. For instance, when I’ve had the chance to introduce screenings before, I’ve chosen Bresson’s The Devil Probably, Welles’s Lady from Shanghai once, and Touch of Evil another time, Robert Aldrich’s great Kiss Me Deadly, Wong Kar Wai’s 2046… Like that. Also it would be logical to pick a movie that’s not too commonly seen. But it’s Christmas—or whichever festive winter holiday—and I knew both that the Screen Slate crowd would already be familiar with anything I picked, and that everything’s available online now anyway—there aren’t any obscure movies anymore—so I decided to take the opposite tack and pick one of the happiest, most widely seen and popular movies ever. Big budget too. It doesn’t show up in celluloid 35mm in theaters often, though, and it is a masterpiece and I’ve always loved it. A series examining the output of a single studio in a single calendar year. 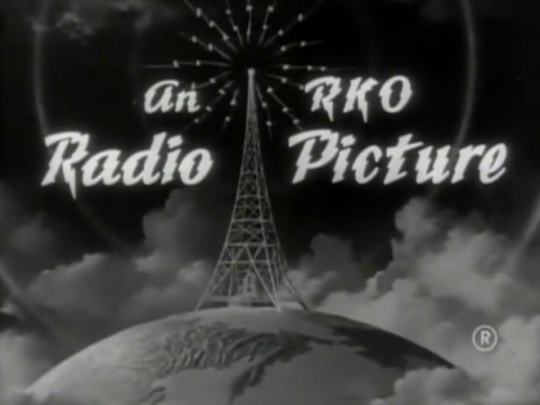 For RKO Pictures, 1952 really began on March 23, 1951. That was the day U.S. Marshal Charles W. Ross went to the home of screenwriter Paul Jarrico to deliver a subpoena ordering him to appear before the House Committee on Un-American Activities. The most important events at RKO in 1952a year in which the studio released films from Nicholas Ray, Josef von Sternberg, Howard Hawks, Fritz Lang, and Michael Powell and Emeric Pressburgerhad nothing to do with cinema. Instead, studio chief Howard Hughes spent that year of the blacklist transforming RKO into a club to swing at Communists, before selling the entire company to capitalists so pure they crossed the line into organized crime. By years end, the studio had played an integral part in ceding Hollywood power to Washington, with consequences that would define the next decade in film. RKOs films were almost an afterthought. And it all began with that knock on Jarricos door. If I have to choose between crawling in the mud with Larry Parks or going to jail like my courageous friends of the Hollywood 10, I shall certainly choose the latter. Crawling in the mud was actually Parkss term for his own testimony, not Jarricos, but it wasnt a good year for nuance. Jarricos stand had long-reaching consequences for his career, and for RKO, where hed been revising a film called The Las Vegas Story. Howard Hughes, running the studio at the time, was a hardline anti-Communist who had no patience for Jarricos public scorn toward informers. The day the subpoena was delivered, he had Jarrico turned away at the studio gate without so much as a chance to clean out his office. For whatever its worth, Paul Jarrico was a member of the Communist Partyin fact, in the mid-1950s, he was the head of the Hollywood section. (I presided over its liquidation, hed later tell Patrick McGilligan for his great oral history of the blacklist Tender Comrades.) But the idea that Communist screenwriters were working to overthrow the United States government was nonsense. Jarrico described the Party for most of the time he was a member as the tail to the liberal-Democratic kite, and didnt see any contradiction between his political beliefs and his patriotism. Jarrico faced the committee in Washington on Friday, April 13, 1951, and struck something of a conciliatory tone, at least toward RKO. Asked what hed been working on, he replied, The Las Vegas Story, which is currently shooting in Hollywood. I urge you all to see it. But the committee had learned from its mistakes in 1947, and the hearings were orchestrated to make it impossible for unfriendly witnesses to come out unruined. In Jarricos case, his one-time writing partner, Richard J. Collins, had been scheduled to name him as a member of the Communist Partyalong with everyone else he could rememberin an open session the day before Jarrico testified. You might revise your guide to subversive organizations and publications issued by this committee. It includes, for instance, the Hollywood Democratic Committee, and, without wishing to embarrass you, Congressman Doyle, perhaps you remember that that committee contributed to your campaign and wrote speeches for your campaign. It is listed here as a subversive organization. I am proud of my beliefs. I am proud of my affiliations. Ill be damned, though, if Ill disclose them to my enemies to be used against my friends. It wasnt a good season for standing on principle. Although Doyle told Jarrico, incredibly, we are not interested in blacklisting anyone, RKO had already fired him, and no further work was forthcoming. That left The Las Vegas Story, already in production. Hughes ordered immediate rewrites to throw out everything Jarrico had done, but writing credits, then as now, were assigned by the Screen Writers Guild (an ancestor of the Writers Guild of America). On September 19, 1951, after evaluating the work done by all writers, the Guild notified RKO that The Las Vegas Storys screenplay should be credited to Earl Felton, Harry Essex, and Paul Jarrico. The collision course was set. 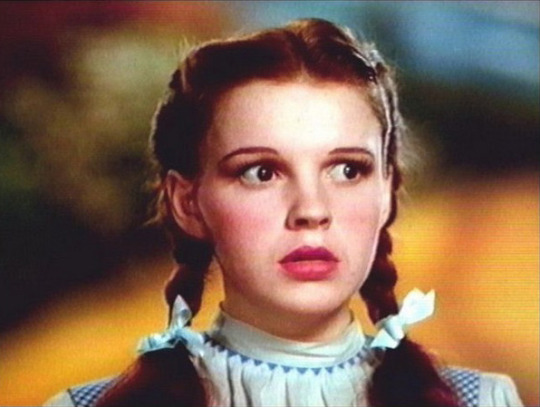 Summer blockbuster season wasnt a thing yet in 1952, but January was already a dumping ground. RKO had opened three films over Christmas, 1951, which were still making their way across the country throughout January (and, indeed, throughout the year) in those days before wide releases. In Boston, you could see On Dangerous Ground, a Nicholas Ray film starring Ida Lupino and Robert Ryan that swoons from noir to melodrama. In New York, the Little Carnegie Theater reopened after renovations with Akira Kurosawas Rashomon, an RKO acquisition. The rest of the country had to make do with RKOs wider release that season: Double Dynamite, a Jane Russell vehicle whose title, the advertising made clear, meant exactly what it sounded like. Of course, you could see Double Dynamite in New York or Boston, tooat New Yorks Paramount Theater, the film, which featured Frank Sinatra, was accompanied by a live performance from Tony Bennett. For RKO Pictures, 1952 really began on March 23, 1951. That was the day U.S. Marshal Charles W. Ross went to the home of screenwriter Paul Jarrico to deliver a subpoena ordering him to appear before the House Committee on Un-American Activities. The most important events at RKO in 1952—a year in which the studio released films from Nicholas Ray, Josef von Sternberg, Howard Hawks, Fritz Lang, and Michael Powell and Emeric Pressburger—had nothing to do with cinema. Instead, studio chief Howard Hughes spent that year of the blacklist transforming RKO into a club to swing at Communists, before selling the entire company to capitalists so pure they crossed the line into organized crime. By year’s end, the studio had played an integral part in ceding Hollywood power to Washington, with consequences that would define the next decade in film. RKO’s films were almost an afterthought. And it all began with that knock on Jarrico’s door. “Crawling in the mud” was actually Parks’s term for his own testimony, not Jarrico’s, but it wasn’t a good year for nuance. Jarrico’s stand had long-reaching consequences for his career, and for RKO, where he’d been revising a film called The Las Vegas Story. Howard Hughes, running the studio at the time, was a hardline anti-Communist who had no patience for Jarrico’s public scorn toward informers. The day the subpoena was delivered, he had Jarrico turned away at the studio gate without so much as a chance to clean out his office. For whatever it’s worth, Paul Jarrico was a member of the Communist Party—in fact, in the mid-1950s, he was the head of the Hollywood section. (“I presided over its liquidation,” he’d later tell Patrick McGilligan for his great oral history of the blacklist Tender Comrades.) But the idea that Communist screenwriters were working to overthrow the United States government was nonsense. Jarrico described the Party for most of the time he was a member as “the tail to the liberal-Democratic kite,” and didn’t see any contradiction between his political beliefs and his patriotism. Jarrico faced the committee in Washington on Friday, April 13, 1951, and struck something of a conciliatory tone, at least toward RKO. Asked what he’d been working on, he replied, “…The Las Vegas Story, which is currently shooting in Hollywood. I urge you all to see it.” But the committee had learned from its mistakes in 1947, and the hearings were orchestrated to make it impossible for unfriendly witnesses to come out unruined. In Jarrico’s case, his one-time writing partner, Richard J. Collins, had been scheduled to name him as a member of the Communist Party—along with everyone else he could remember—in an open session the day before Jarrico testified. It wasn’t a good season for standing on principle. Although Doyle told Jarrico, incredibly, “we are not interested in blacklisting anyone,” RKO had already fired him, and no further work was forthcoming. That left The Las Vegas Story, already in production. Hughes ordered immediate rewrites to throw out everything Jarrico had done, but writing credits, then as now, were assigned by the Screen Writers Guild (an ancestor of the Writer’s Guild of America). On September 19, 1951, after evaluating the work done by all writers, the Guild notified RKO that The Las Vegas Story’s screenplay should be credited to Earl Felton, Harry Essex, and Paul Jarrico. The collision course was set. Summer blockbuster season wasn’t a thing yet in 1952, but January was already a dumping ground. RKO had opened three films over Christmas, 1951, which were still making their way across the country throughout January (and, indeed, throughout the year) in those days before wide releases. In Boston, you could see On Dangerous Ground, a Nicholas Ray film starring Ida Lupino and Robert Ryan that swoons from noir to melodrama. In New York, the Little Carnegie Theater reopened after renovations with Akira Kurosawa’s Rashomon, an RKO acquisition. The rest of the country had to make do with RKO’s wider release that season: Double Dynamite, a Jane Russell vehicle whose title, the advertising made clear, meant exactly what it sounded like. 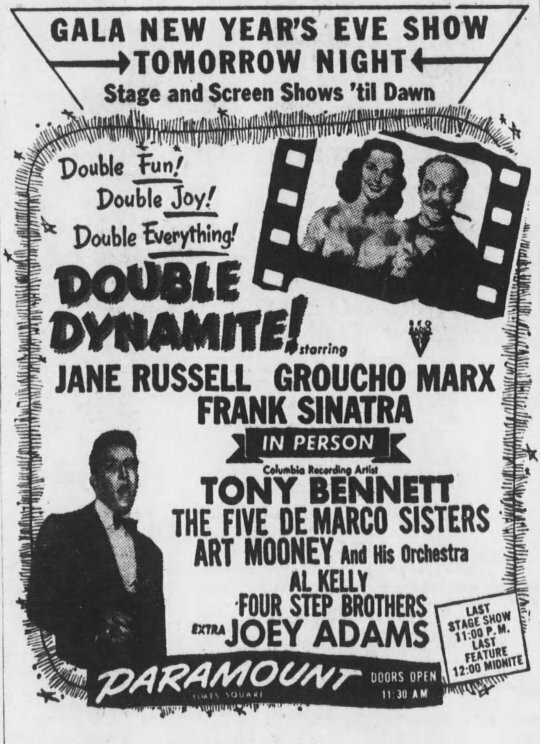 Of course, you could see Double Dynamite in New York or Boston, too—at New York’s Paramount Theater, the film, which featured Frank Sinatra, was accompanied by a live performance from Tony Bennett.